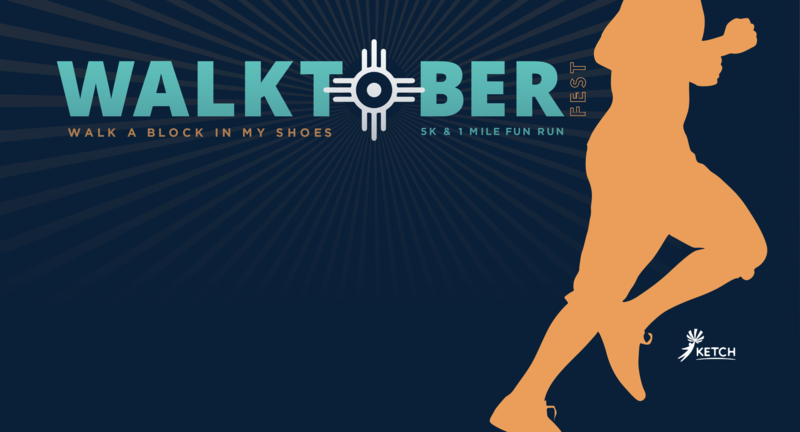 Walktoberfest: Walk a Block in My Shoes is NEW to Bloktoberfest this year! The event will take place on Saturday, October 14th at Waterwalk, prior to the Bloktoberfest activities kicking off. After the race we encourage you to stick around and partake in all the Bloktoberfest activities! This event includes a 5K and a 1 Mile Fun Run! All proceeds from the walk will go to KETCH and support adults with intellectual and developmental disabilities. Get ready for the race. Last call for packet pick-up. Head out for a beautiful run along the Arkansas River in Wichita's scenic downtown. Enjoy being an early bird and take advantage of the Bloktoberfest activities before the masses arrive. Take in the essence of Fall with a quick 1 mile run/walk. Medals will be given to top 3 finishers in each age group for male and female participants. Bloktoberfest festivities will be in full force! Stick around to enjoy! If you bought the combo deal you're in for a treat! Good thing you got that run in this morning. KETCH empowers adults with intellectual and developmental disabilities to reach their highest potential and live as independently as possible. Donate to a KETCH Ambassador's Team! Individuals in KETCH programs and services will be participating in the 1 Mile Fun Run. You can support them by sponsoring their walk and helping us reach our fundraising goal!